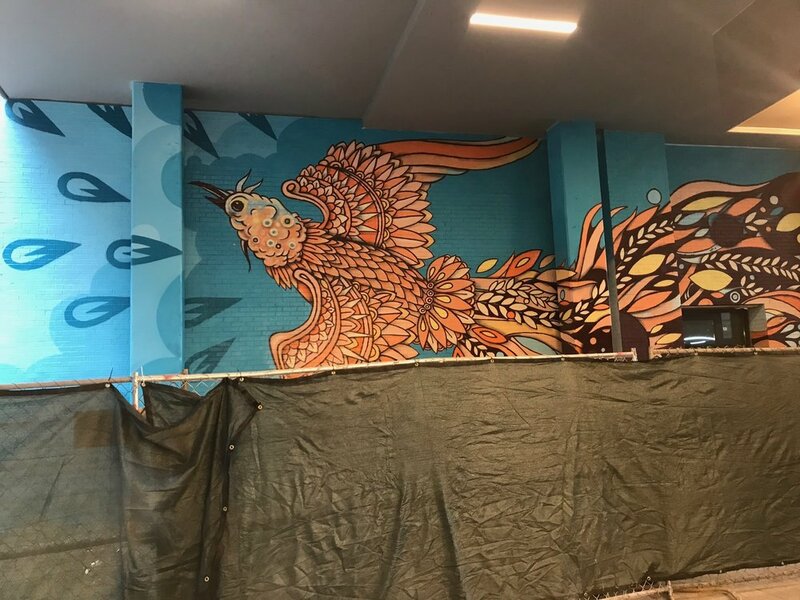 The first Phoenix mural I created was for Living Walls: The City Speaks in Atlanta, GA. It was one of the roughest walls I have ever painted on, even losing chalk in the deep morterless cracks. But it was an amazing experience and I pulled off my style. 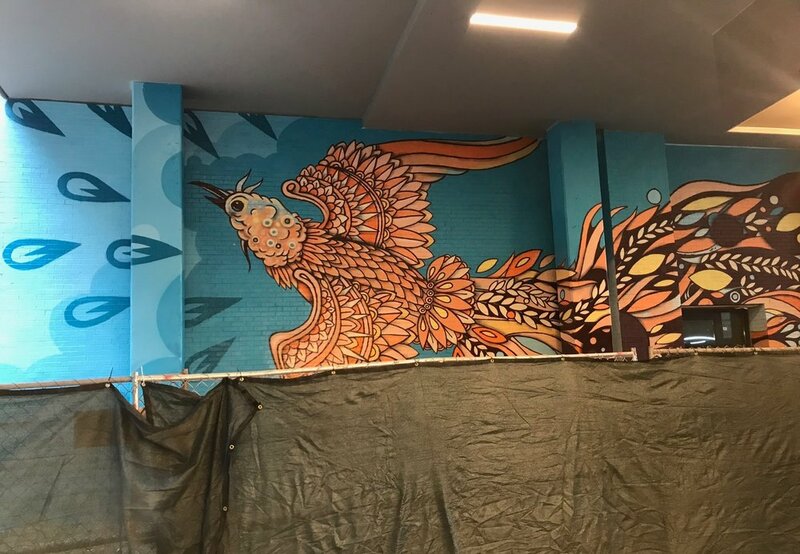 Just last year the mural was covered up by a new owner, so like a Phoenix, back to ashes. Like a Phoenix, it rises again on the WESTSIDE of Atlanta at Broadstone Yards. Broadstone Yards is an amazing architectural meld of railroad, art, and Atlanta. They have gathered great local Atlanta artists to combine their style with the Yard’s architectural wonder. The new Phoenix will be an epic version of the original. I want to create a complete painting on all levels. I am planning on trying new techniques and tools to create this mural. I look forward to documenting and sharing every step of the piece (Including a time-lapse). Make sure to subscribe to blog and look for new posts as the project begins. I am currently in the nervous, over-thinking it stage of a painting/mural. I overload myself with the image and the ways it can be played around with, I think that it helps me load my brain, like a paintbrush. I thought, since I had time, I would virtually see the mural come to life. Below is a video of me starting to work out the mural. Planning to use this to quickly lay out layers on the actual wall. The desire to get on the wall gets stronger and stronger as you get closer to the start date. Stay tuned. Hoping to give you some yummy visual goodness during this creation. Thanks again for checking out the artwork.